Best of 8. Really amazing that this go to place yields mostly spotted bass and most meet NC trophy requirements. I had 4 early and thought I had chance for 20 for the day. The leading edge of the massive storms we had over the weekend really slowed them down. I'm sure you guys that know me will be shocked that I caught 2 on a worm. OK, a worm tossed in after a blowup on a crankbait. 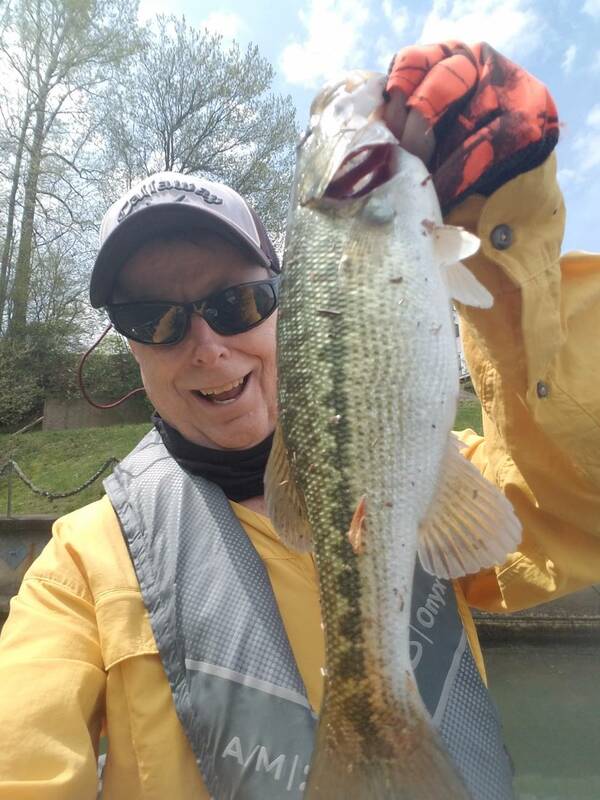 Squarebill and jerkbait both worked well. I'll get a report tomorrow on the water conditions post storms and 2 twisters. 74adamsmith, Bleedingblue, BrandonK, GreyGhost, and jerry condrey like this.